Kiwi-raised, Persian rapper CHAII shares her debut offering ‘Digebasse (Enough)’. Uploaded to Facebook on February 26, the music video soared virally on news feeds around the world. ‘Digebasse (Enough)’ is a statement of joy, the journey to freedom, and hope for change. It’s a positive shout out to cover-up couture. It’s an appreciative nod to those doing it, making music underground. It’s a hands up towards the decolonisation of the mind, and western news outlets. 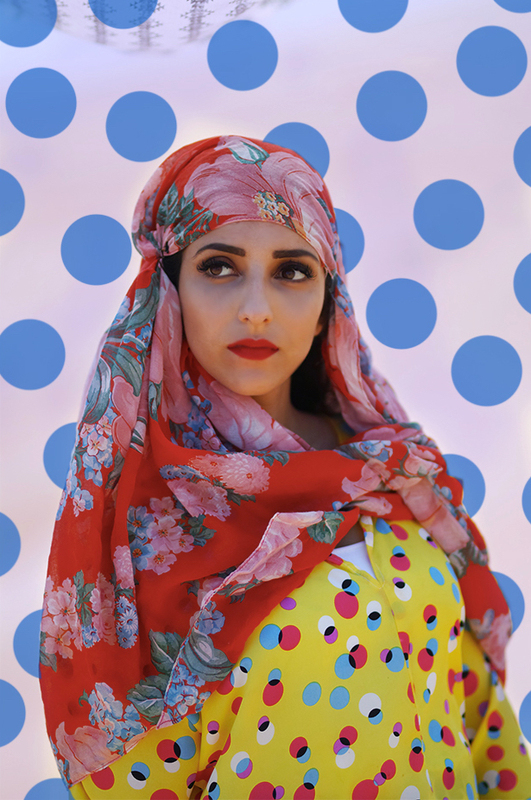 As she raps in both English and her mother tongue Farsi, she is reclaiming identity. “It was such an emotional journey, it was like going back to where I spent most of my childhood years,” CHAII reflects. The video was produced and directed by CHAII, and filmed in the colourful backdrop of Oman. The track was self-produced by CHAII. Legendary producer and engineer Sylvia Massy provided the final mix, adding her magical studio touch in a way that only she could. Following the tailwind of her previous single, Hate Me (featured on Official NZ Music Chart’s Hot NZ Singles and Ones to Watch), Dunedin born producer and performing artist Missy (Abigail Knudson) presents a cutting new track in Storm. Out now on Black Lotus Records. An emotive, internal trial at play, Missy sets out to represent “characters who were ultimately divided and individual, who gradually come to one another. I decided to avoid depicting the main toxic relationship discussed in the song, and instead focus on the internal struggle.” Specifically the struggle for self-love and acceptance, and the effects that has on the types of relationships and partners you are drawn to. To translate the song to screen, Missy enlisted the help of her sisters Calla Knudson-Hollebon and Ariana Knudson-Hollebon, as well as Bebe James in choreographing a routine that was filmed by Jamie Prout. The young artist and producer has a growing reputation for her unique skills and ideas behind the desk, currently working with a number of artists including Anna Coddington, Sam Trevethick (Shapeshifter), Justyn Pilbrow (Elemeno P), Dave Johnston (Villainy, n1ghtmar3cat), Unchained XL, Cohle Harris, Cecily, Kurisu, and Australian duo Feels, to name a few. Earlier this year, Missy was an invited guest speaker at the APRA AMCOS Women of Music Production workshop in January. She was also involved in the NZ Music Producer series with Sylvia Massy in November last year, as well as SongHubs Sphere for Suffrage 125 where she worked alongside an inspiring room of wāhine that included Bic Runga, Chelsea Jade and Amelia Murray (Fazerdaze), under the guidance of Susan Rogers and Wendy Wang. The classically trained artist is in a lane of her own, blending her years of cello and choral studies with a contemporary means of composition and production under the moniker, Missy. Artistically, Knudson explores ideas and subjects which are at turns sweet and confronting - real and affecting. Johannes Brahms, Lana Del Rey and Kanye West are seemingly disparate touchstones that underlie Missy’s unique sound. The results form a melodramatic aural mélange and marks Missy out as one the country’s most exciting new talents.